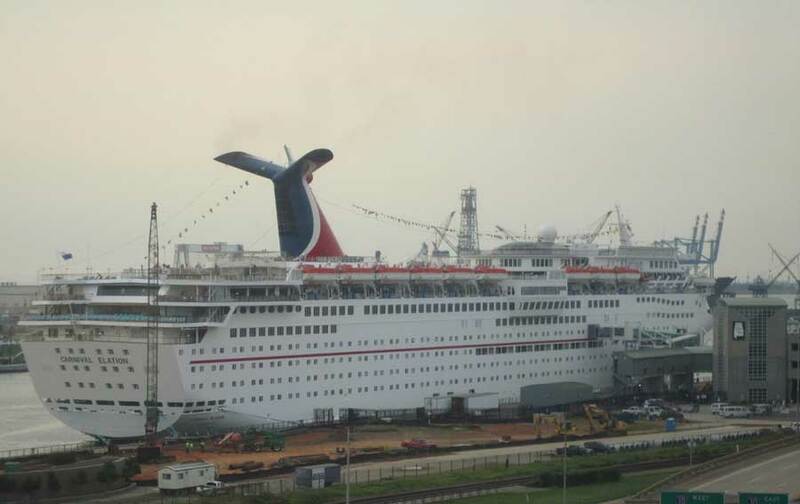 New details have emerged regarding the return of Carnival Cruise Line out of Mobile, Alabama. If reports are correct an agreement could be completed this week and possibly news of which Carnival ship. According to AL.com Carnival Cruise Line and mobile City Council are expected to finalize an agreement to bring a Carnival cruise ship to the port. Cruise Hive previously reported that a meeting between the Miami based cruise line and Mayor Sandy Stimpson had taken place earlier in the month to discuss a Carnival ship heading back to Alabama. The site is also reporting that the cruise terminal is set to change its name. There has been a proposal to change from the current name of ‘Alabama Cruise Terminal’ to ‘The City of Mobile, Alabama Cruise Terminal’. The new proposal is longer but makes more sense as the terminal is funded by the taxpayers of Mobile. We don’t yet know which Carnival ship will be sailing from Mobile but a 70,367 gross ton Fantasy class ship is more than lightly. The Fantasy class ship Carnival Elation was the last to call at the Port of Mobile in 2011. More details on the agreement is expected to be announced very soon including which cruise ship will home port there.